Beach Babe Fitness: Could the Key to Your Weight Loss be in Your Blood? Could the Key to Your Weight Loss be in Your Blood? Recently I've been hearing a lot about this whole, Eat Right for your Blood Type "diet." While I'm more of an "[almost] everything in moderation" type of gal, I find this diet very intriguing. After all, your blood type is unique to your DNA... the very essence of you. Since blood is responsible to deliver everything to everywhere in our bodies, it seems reasonable that different types of blood would react differently to certain foods. Furthermore, (and this is where I became particularly interested) studies have shown that different blood types should exercise differently. 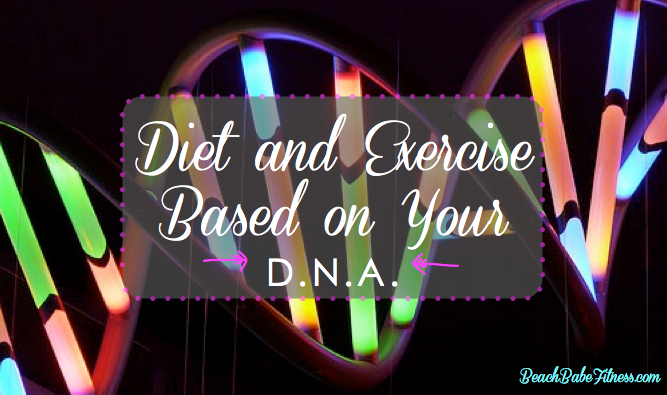 The blood type expert, Dr. D'Adamo believes that if you're having trouble sticking to an exercise routine, you might not be doing the right one for your blood type. Say what?! Type O: The oldest blood line, this type is known as "the athlete" and thrives off of vigorous exercises like interval or circuit training. It's also recommended to workout in the morning to relieve stress. Eat: lean meats, poultry, and fish. Avoid: grains, breads, and legumes. Type A: These "intellectuals" need to exercise to de-stress. Gentle exercise is encouraged like Yoga, Pilates or other meditative exercises. Eat: Vegetarian diet. Avoid: Meat and Dairy. Type B: Organized and thoughtful, moderate exercise is recommended to release tension and re-focus. Since this type traditionally travelled in groups, they do well in group settings like low impact aerobic classes or resistance training classes. Eat: dairy, meat, and produce. Avoid: wheat, corn, and lentils. Type AB: The fitness regimen for the A + B combo, is a mix of calming exercises and moderate exercises. This type would do well in a hybrid class like a Pilates/Boxing or Spin/Yoga. Since this blood line is relatively new, this type generally has a sensitive digestive tract. Avoid: chicken, beef, and pork Eat: seafood, tofu, dairy, and most produce. I gotta admit, I had no idea what blood type I was until I asked my mom a few weeks ago. Turns out I'm a type O. After reading what I should and shouldn't eat, and what types of exercises were recommended for me, I was amazed. I am totally an O! So is this the magic weight loss solution we've been waiting for? Probably not. But if it does lead you to eat healthier and get your booty off the couch then it can't hurt. What do you think of eating and working out based on your blood type? I'd love to hear if you blood type matches your lifestyle!